Clickky is a full-stack platform for user acquisition and mobile monetization, which offers both programmatic and performance solutions. Currently, Clickky is focused on the growth of its own SSP and RTB Marketplace. 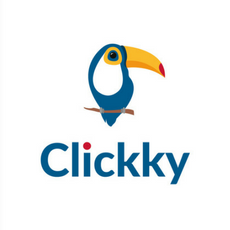 Clickky offers programmatic and performance solutions that enable effective user acquisition and mobile monetization. Advertisers and publishers can choose among the wide range of available options for acquiring high-quality users and monetizing their mobile traffic: SSP, RTB Marketplace, Self-Serve Platform for Advertisers, Self-Serve Platform for Mobile Monetization, Managed services, Adexchange, Video and a solution for monetizing remnant traffic Smartlink.